India's U-19 team Sunday followed the footsteps of their seniors to win the U-19 Asia Cup title with a crushing 144-run win against Sri Lanka in the final with Ayush Badoni and Harsh Tyagi playing prominent roles. 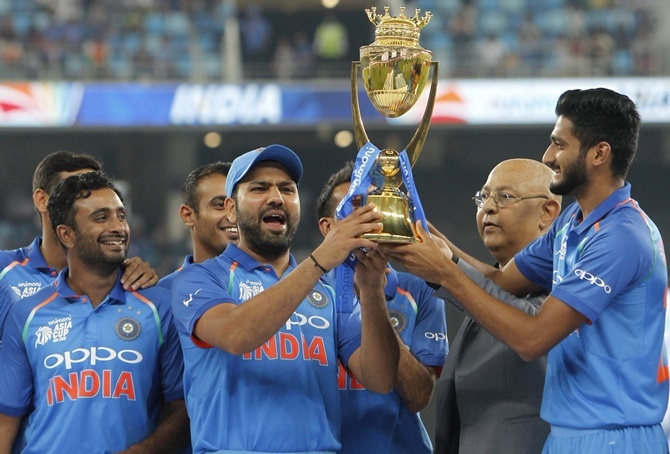 Runaway favourites, India outplayed Sri Lanka in all departments by first scoring an imposing 303 for 6 at the Sher-e-Bangla Stadium after skipper Prabh Simran Singh won the toss and elected to bat. All the Indian batsmen contributed with openers Yashasvi Jaiswal (85 off 113 balls) and Anuj Rawat (57 off 79 balls) creating a solid foundation with a 121-run stand.